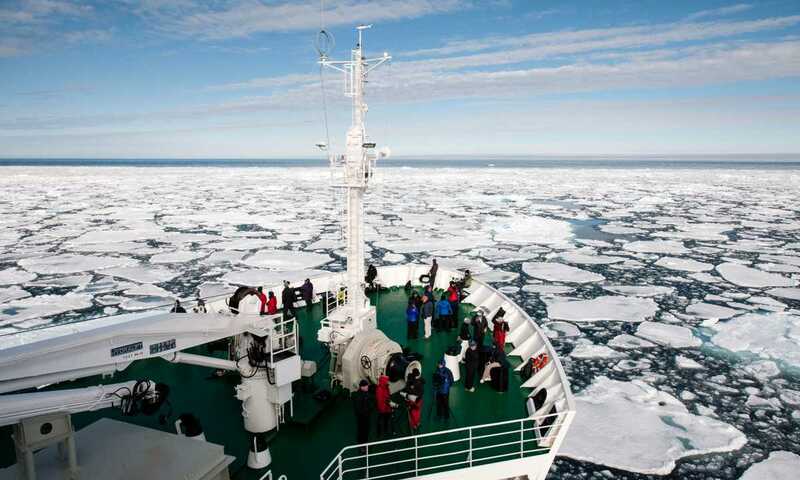 A transit of the Northwest Passage is one of the world’s most iconic voyages. We like this trip for its shorter length and astounding expedition team. Sail eastwards exploring the vast archipelago of islands and channels, following in the footsteps of the early Arctic explorers. Depart Edmonton for your flight to Cambridge Bay, a remote outpost above the Arctic Circle. Located on the southern shores of Victoria Island, today it is a centre for hunting, trapping and fishing. Excitement is in the air as you enjoy a welcome cocktail and cast off, bound for the fabled Northwest Passage. As we chart a course into the Northwest Passage, our onboard presentation series begins and we delve into the tale of the Franklin expedition. The mystery of what happened was partially solved in September 2014, when a joint Parks Canada and Royal Canadian Geographic Society expedition found the HMS Erebus in the Victoria Strait. One Ocean Expeditions played a pivotal role in the search by carrying underwater search equipment on our ship as well as scientists, historians, researchers, dignitaries and sponsors. We aim to visit Victory Point, travelling very near the actual location of the wreck of HMS Erebus, while learning about the quest for exploration that eventually opened up the Arctic. To end this remarkable find, the sister ship - HMS Terror was discovered nearby in the Summer of 2016.. This morning, arrive at Conningham Bay on the shore of Prince of Wales. Here, in the heart of the Northwest Passage, encounter one of the most remarkable wildlife sites in the Arctic. This is a known hotspot for polar bears who come here to feast on Beluga whales, often caught in the rocky shallows at the entrance to the bay during low tide. It is not unusual to find the shoreline littered with whale skeletons - and very healthy looking polar bears! Today, transit the narrow passage of Bellot Strait, a channel separating northerly Somerset Island from continental North America. The skill of the Captain and Officers and capabilities of the ship becomes apparent during this exciting day of Arctic navigation. Nearby Fort Ross, located at the southern end of Somerset Island, is a former Hudson's Bay Company fur trading outpost. Fascinating archaeological sites nearby tell a story of more than a thousand years of habitation by the Inuit and their predecessors. Cruising the coastline of Devon Island, you are now in the waters of Lancaster Sound - a rich, bio-diverse region often referred to as the wildlife 'super highway' of the Arctic. The plan is to visit the old Royal Canadian Mounted Police (RCMP) outpost at Dundas Harbour, on Devon Island. Musk ox and Arctic hare are sometimes sighted in the vicinity and there are some great hiking options in the area. This morning you enter the spectacular Gibbs Fjord with towering cliffs all around you. The expedition ship will seem dwarfed by the giant peaks and snowy glaciers as we cruise slowly along the dark waters. One past guest was known to liken Gibbs Fjord to a 'scene from a Lord of the Rings' - it's hard to disagree! If one word could sum up today's experience it would be 'ice'. Truly one of the wonders of the world, the Ilulissat Icefjord - a UNESCO World Heritage site - spews giant tabular icebergs out into Disko Bay. The glacier that creates these stunning monoliths advances at over 40 metres per day, creating around 50 cubic kilometres of ice annually. Our approach to Ilulissat is dependent on the amount of ice in and around the mouth of the fjord. Our Captain and officers are skilled ice navigators and our ship has one of the highest ice ratings of any vessel exploring Arctic waters. We will explore the fjord behind the town of Sisimiut before going ashore to explore this beautiful location. Characterized by colourful local houses, the town features a towering granite peak as a backdrop. 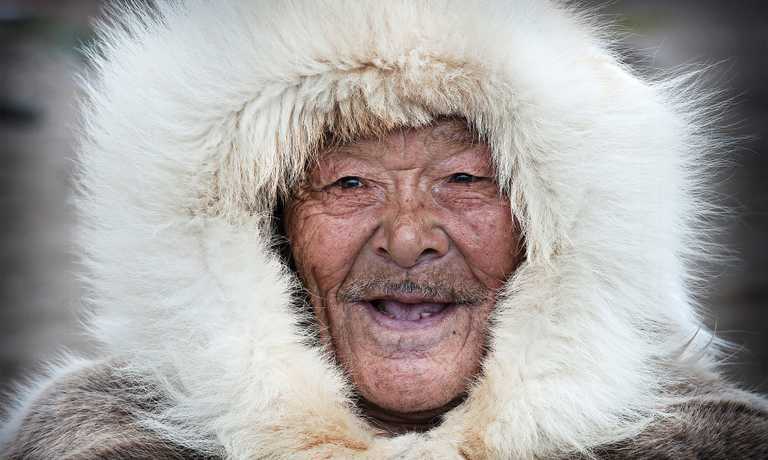 We hope to meet a few of the traditional Greenlandic kayakers and to see a demonstration of 'Eskimo rolling' by one of the former Greenland kayak champions. A small museum is another interesting diversion. One of the world's longest fjords, Sondre Stromfjord towers above the ship as we sail up it. We plan to venture into some of the small side fjords that we can zodiac into and explore on foot or by kayak. Major geologic and geomorphologic features will surround us and we hope to find muskox along the shores of the fjord as well. Soaring high above us will be the white-tailed sea eagle, riding the thermals off the ridges. There are fantastic opportunities for hiking. The 01-Sep-2018 and 20-Aug-2019 departure voyage will not visit Greenland but Baffin Island. These voyages finish in Iqaluit with a flight to Ottawa. A GST tax applies. All bookings on voyages that operate domestically within Canada, are subject to a compulsory 5% goods and services tax (GST). This will be itemized separately to the cruise price on the confirmation invoice. The trip was good, the light gorgeous, the icebergs fantastical, and the wildlife wonderful with more polar bears than expected. The traditional villages made us think about their future, and we met new friends. Purpose built in Finland in 1993 for polar expedition, the Resolute is a safe, ice strengthened vessel which also delivers on comfort and space. This ship provides the perfect setting for an Arctic experience with spacious cabins and panoramic public areas, and an outstanding expedition staff. 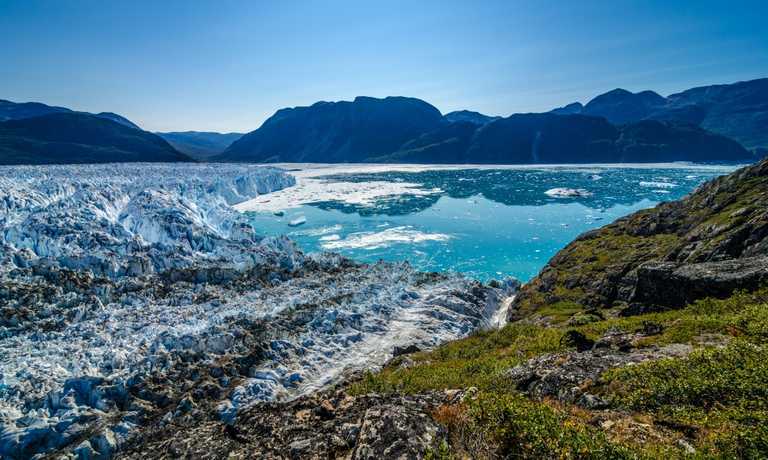 The charter flights Edmonton/ Cambridge Bay (Nunavut) & Kangerlussuaq (Greenland)/ Ottawa at the beginning and end of the voyage cost an additional $1,995 per person on top of the voyage price. The 01-Sep-2018 and 20-Aug-2019 departure voyage will not visit Greenland, but Baffin Island. These voyages finish in Iqaluit with a flight to Ottawa. Enhance your trip with the following add-on's. Limited places per activity. For those travelling solo and want their own cabin, the single supplement is 1.5 to 2 times the cost of a single berth, depending on cabin category. However, there is no single supplement for passengers willing to share a cabin. Children are welcome. 25% discount young traveller discount up to 17 years and 20% off those aged 18-21. Please contact us for details.